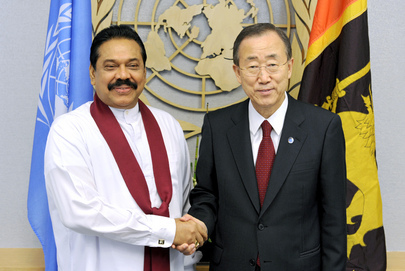 UNITED NATIONS, December 27 -- The UN's bungling of Sri Lanka continued Monday, when a snow storm because a snow job. 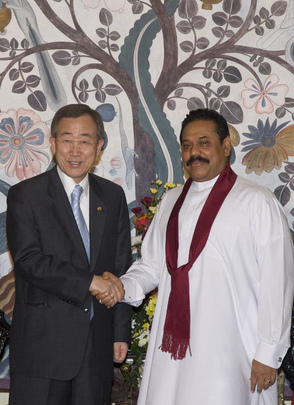 UN Secretary General Ban Ki-moon on December 17 announced that his Panel ostensibly on Accountability in Sri Lanka would travel to that country. But on December 23, when Inner City Press asked Ban's acting Deputy Spokesman Farhan Haq about such travel, after he was quoted that it might in fact not take place, all Haq would say is that an announcement would be made later. Then he announced that there would be no opportunity for in person question and answers during the entire week beginning December 27. Inner City Press asked why the noon briefings were canceled, when the UN is ostensibly open. Haq claimed that journalists had asked for less information, so that they would not have to come in. But he said that questions would be answered by lead spokesman Martin Nesirky, who has said that he speaks for the Panel. At 11:30 am on December 27, Haq responded with five words: "UNHQ is closed on Monday." UNHQ is closed on Monday. Thanks.